Cleaning ProcedureClean the oil filter adapter components withnon-corrosive solvent. 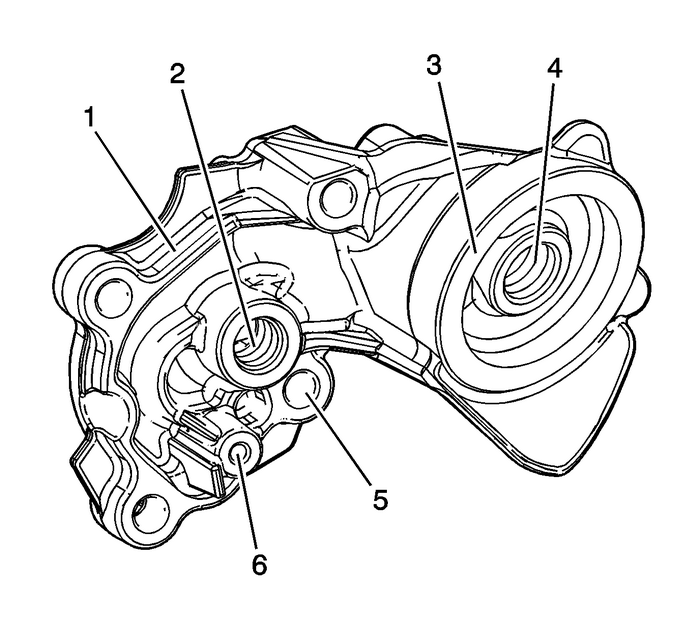 Note:The internal parts of the oil filter adapter housing are notserviced separately. If wear or damage is noted, replace the entireoil filter adapter assembly. Inspect the oil filter adapter housing for cracks, castingimperfections or damage-(1).Inspect the threads for the oil pressuresender-(2) or the bracket-(6) fordamage.Inspect the oil filter sealing surface-(3) fordamage.Inspect the threads for the oil filter fitting-(4)for damage.Inspect the mounting holes-(5) for damage. 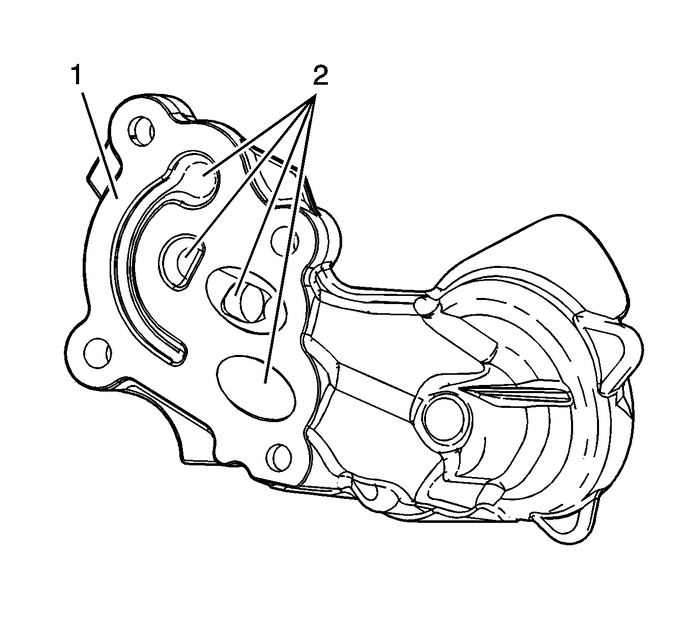 Inspect the oil filter adapter housing gasket sealingsurface-(1) for damage.Inspect the oil filter adapter housingpassages-(2) for damage or blockage.Repair or replace the oil filter adapter housing asnecessary.